The title of Kay Collier Sloan’s fantastic book They’re Rarely Too Young and Never Too Old to Twinkle was put to the test in January 2009. 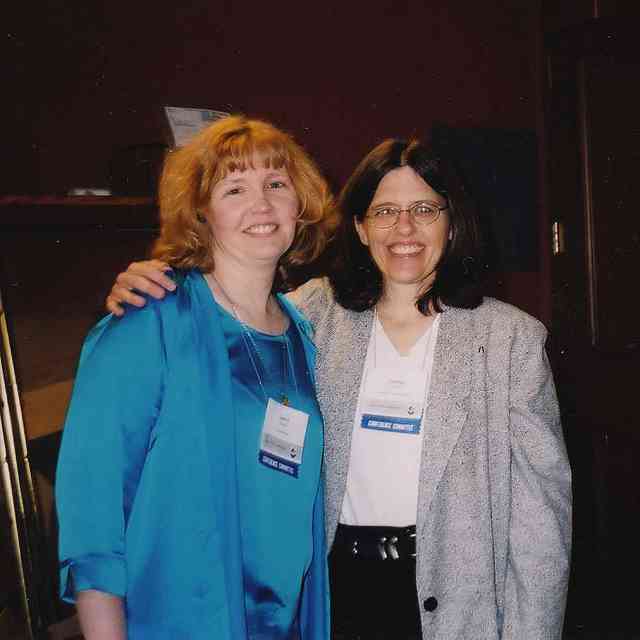 I was working as an administrative assistant at the University of Nebraska-Lincoln College of Education and Human Science, which houses the Osher Life Long Learning Institute (OLLI). This community outreach program provides interesting and diverse learning opportunities for people fifty years of age and older throughout the United States. I wondered if I could start a Suzuki violin program with older adults—what a great way to put Kay’s theory to the test! My idea was met with some hesitation from the OLLI director, Dee Aguilar. UNL-OLLI had never offered a music class, and she was unsure if the subject would garner enough interest for the course to carry. She took the risk with me, though, and it paid off handsomely. The class filled completely, and twelve nervous students greeted me in January as I came into the classroom carrying “their” violins. 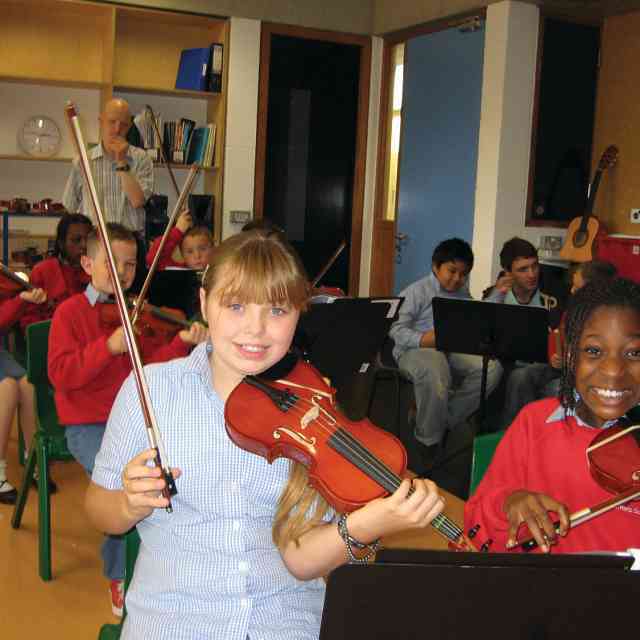 Class tuition covered violin rental, a shoulder rest, and the Suzuki Book One CD. Students met ninety minutes weekly. My goal was to have them learn Variation A by the end of the six-week course. The class sequence was half master class and half group rehearsal. I discovered if I started with the master class to check the preceding week’s concept, and then taught the new concept to everyone individually, my students learned faster. Everyone had multiple opportunities to listen and observe by watching the others, thus reducing the time needed to refine and master new information. Quite unexpectedly, teaching seniors required overcoming some physical challenges. 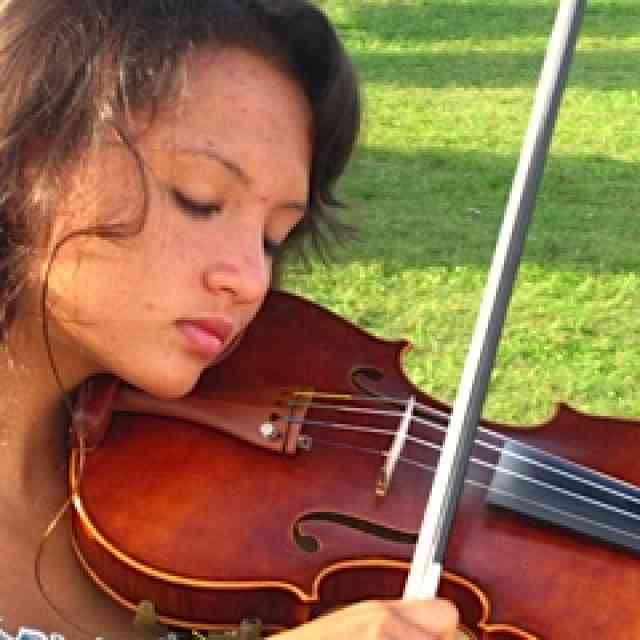 Arthritis and being able to see the violin with bifocals were the two biggest ones. We eased the arthritis with hand exercises, and after practicing for a few weeks, most said they felt less pain when playing because of their increased hand strength and flexibility. Students who couldn’t see with bifocals changed to their reading glasses, and I changed a lot of chin rests to the center of the violin, which helped tremendously. 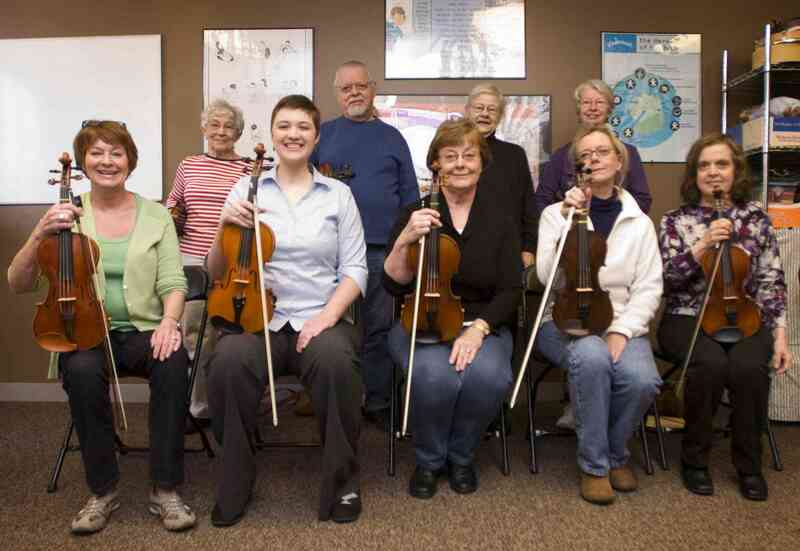 I continued to teach multiple OLLI violin classes until March 2011. Approximately fifty senior citizens completed the course during a two year period. After the students finished the six-week OLLI class, I continued to teach some of them privately and in small groups. Fifteen of the OLLI graduates are still my students. The first group of graduates is now polishing the Minuets in Suzuki Book One. We “gig” about once a month playing at nursing homes, luncheons, and other venues. The group collects a fee they generously donate to a scholarship fund enabling disadvantaged students to have music lessons. I could never have predicted the great success of my experiment when I started teaching the OLLI class. It has been a wonderful addition to my studio and my methodology and has taught me the ultimate lesson that anyone can learn by the Suzuki method if they put in the effort of listening and practicing daily. Many of them learned they can play music without the printed page in front of them; they were astonished at their capacity for memorization and ear training. Some adults start the class completely convinced that they can’t ever play the violin, but want to try anyway. After the final recital, they are so proud of themselves and their accomplishments with the violin. I would encourage anyone to accept the challenge of teaching this senior population. The rewards are endless! If you would like more information on the OLLI program, or to see if there is one in your area, please visit www.osherfoundation.org. Jentry Barrett is a Ph.D student in Early Childhood Education at the University of Nebraska-Lincoln. She received her MS in Child Development at UNL and a BM in Music Education at Utah State University. 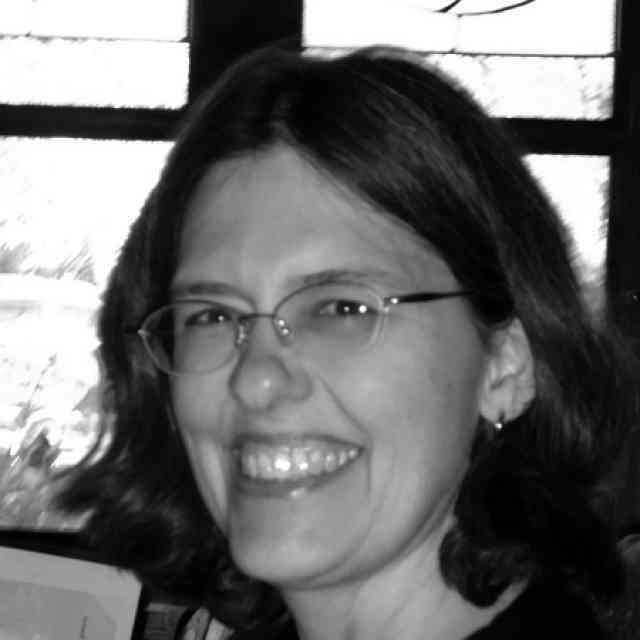 Her research interests include music education for young children and teacher development.